Belek - VfB Stuttgart have received a boost ahead of the resumption of the 2012/13 Bundesliga season with the news that Japanese defender Gotoku Sakai has signed a contract extension with the club. The 21-year-old right-back, who joined the club in January 2012, will remain at the Mercedes-Benz Arena until 2016, while U-23 star Benedikt Röcker has also signed a contract until 2015. "I've received a fantastic welcome since I've been here and I can play in one of Europe’s strongest leagues for a great club," said after putting pen to paper at the club's winter training base in Belek, Turkey. "I can even start thinking about playing for the Japanese national team. I'll be giving it my all so that Stuttgart can be as successful as possible." The club's sporting director Fredi Bobic was very pleased indeed to secure the services of the dependable full-back, saying: "We were delighted to be able to sign Gotoku just over a year ago and we knew even then that he had enormous potential," said the 41-year-old former Stuttgart striker. "He's undergone an incredible development in the last twelve months." 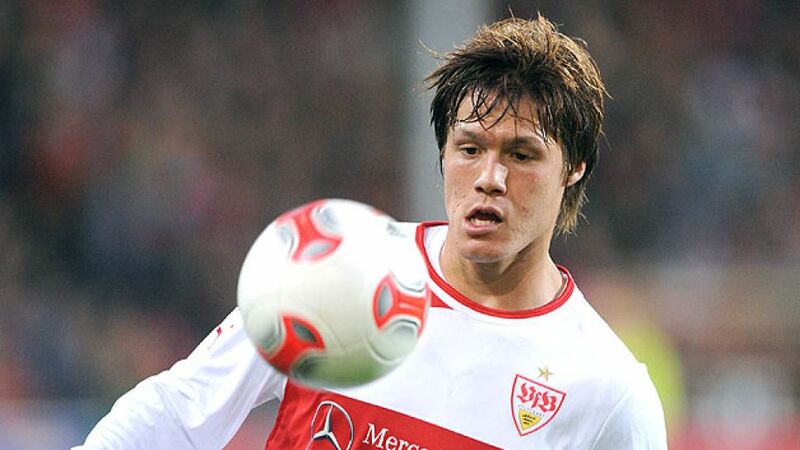 Sakai becomes the third Stuttgart player in a matter of days to commit his immediate future to the club. The New York-born player and Röcker are both following the example of defensive lynchpin , who agreed a new deal until 2016 earlier this week.